Harriet, Arran and Kate L are here to help give you the inside track. 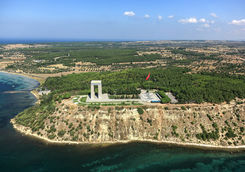 Turkey boasts a fascinating history and you can explore it in all its glory on this week-long tour. 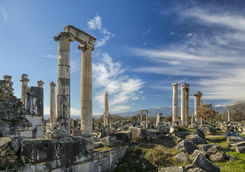 Covering world-famous ancient sites to rival any of those Greece has to offer, this unforgettable holiday combines culture, stunning scenery and an enchanting taste of authentic Turkey. 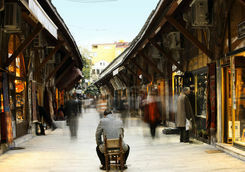 Board your morning four-hour flight from the UK to Istanbul before catching your onward connecting flight to Izmir, which should take a little over an hour. Once you arrive this afternoon, it's time to get stuck straight into exploring what this beautiful country has to offer. 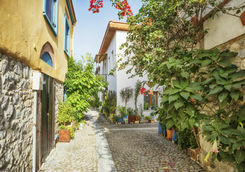 Your guide will meet you at the airport to take you to your hotel before soaking up the atmosphere in this buzzing city, perched on the beautiful Aegean coast. 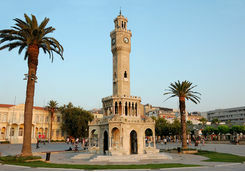 First stop is Izmir Clock Tower - an elaborate clock tower located at Konak Square, just a stone's throw from your hotel. 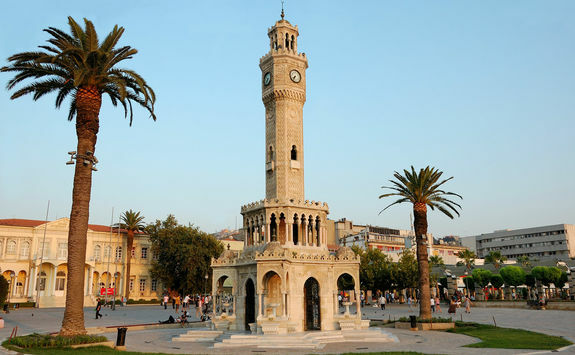 Designed by French architect Raymond Charles Pére and built in 1901, it has become an iconic symbol of Izmir. 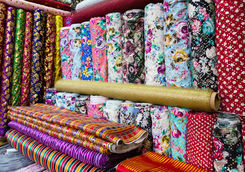 Next, our guide will take you on a tour of Kemeralti Bazaar, a lively market dating back to the 17th century, which offers an authentic taste of the city. 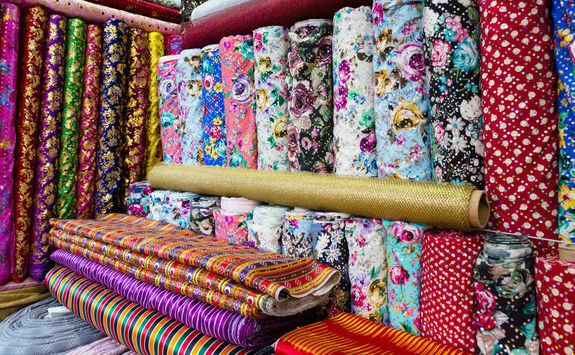 Take in the sights and sounds of the bustling bazaar as your guide leads you through the crowded, colourful streets. 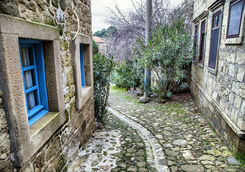 You'll get to explore the shops, eateries, mosques, coffeehouses, synagogues and artisans' workshops as you weave your way through the labyrinth. While you're here, it would be criminal not to try some true Turkish street food before bed. After breakfast this morning (try the menemen, Turkish tomatoes and eggs) you'll be met by our guide at your hotel for a private transfer to the UNESCO Heritage Site of Pamukkale - all you need to remember is a hat, suncream and a bottle of water as there's a lot of exploring in the sun to look forward to. The three-hour drive offers some spectacular views along the way, so sit back, relax and take it all in. 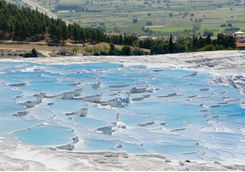 Pamukkale is famous for its mineral-rich, thermal waters and as one of the oldest thermal cities in the world. The thermal waters have been used to heal and beautify since ancient times, and you can see for yourself when you take a dip in the historic waters at the modern spa. 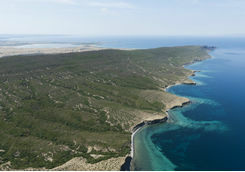 Don't forget your swimmers - it's not every day you get to bathe in the same waters that Cleopatra once swam in. The scenery is mesmerising, as the hot calcite-laden waters spring from the earth, cascade over cliffs and harden as they cool, to create an otherworldly landscape. 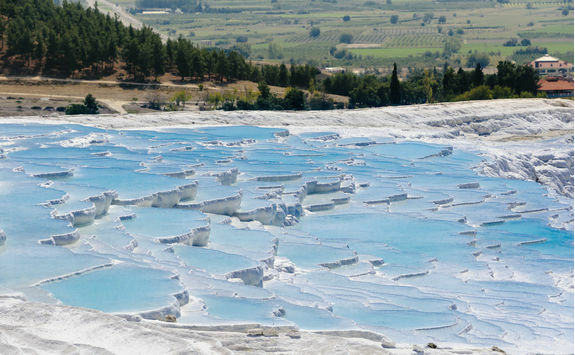 It's thanks to these magical-looking white slopes that Pamukkale - meaning Cotton Castle - got its name. Make sure you take your camera as you'll struggle to explain the unreal beauty of Pamukkale to your friends and family back home. 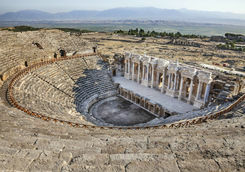 Next stop is the ancient city of Hierapolis, which you can access directly from Pamukkale. 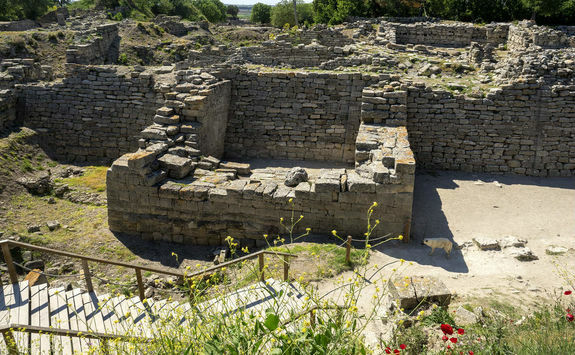 The sense of history as you walk through these Greco-Roman ruins is palpable - the impressive Roman Amphitheatre is well worth a look, as is the on-site Archaeological Museum, which helps bring the ruins to life. Our expert guide will be on hand at all times if you have any burning questions, too. After a good wander, it's back in the people carrier for a short drive to Aphrodisias. 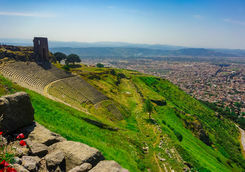 You can explore the ruins of this once thriving first century city, including a fantastically preserved stadium and the famous temple dedicated to Aphrodite, the city's patron goddess. Your private transfer will take you all the way back to your hotel - something your feet will be very glad of after a busy day. 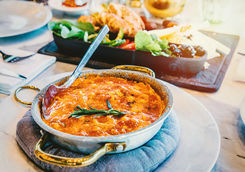 It's another early start this morning, so fill up with a hearty Turkish breakfast - washed down with a potent coffee, of course - before meeting our guide at your hotel. 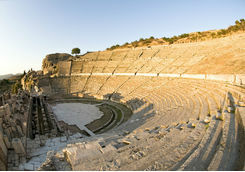 Today you'll explore Ephesus, one of the most prominent centres for science and art in ancient times. 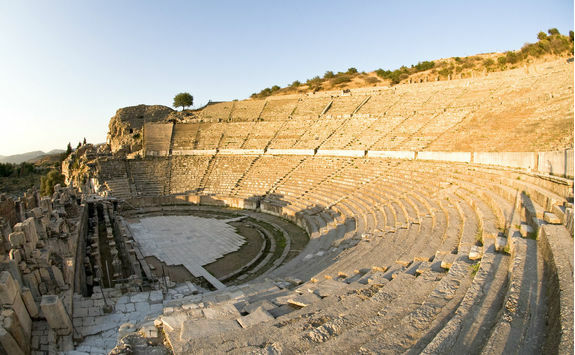 A significant religious and commercial centre, as well as being the birthplace of philosopher Heraclitus, Ephesus was a big deal - and a visit here is well worth the three-hour drive. 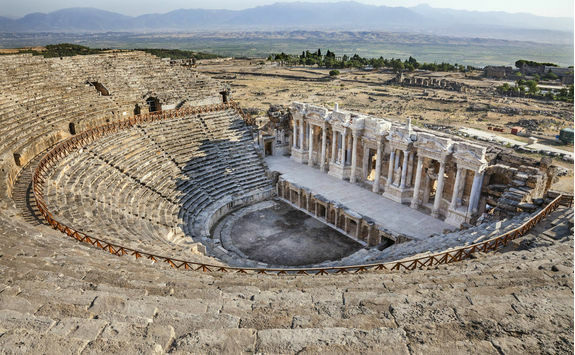 Today, it's a hugely popular archaeological site for history-loving tourists and one of the largest ancient cities to visit in the world. 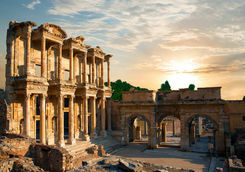 Dating back to the Neolithic Age, Ephesus was the second largest city of the ancient world, with a population of 250,000 during the Roman Empire period. 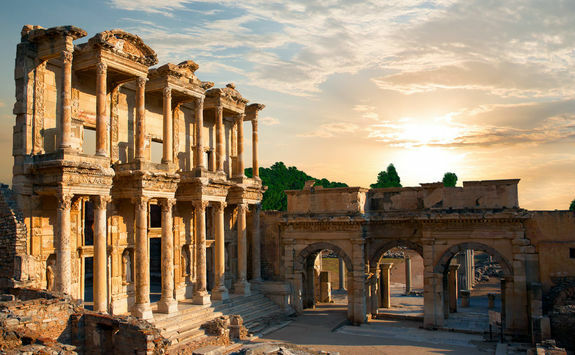 Excavations have revealed remains of the Great Theatre and Library of Celsus, among many others, but it's the Temple of Artemis that's still the biggest draw. 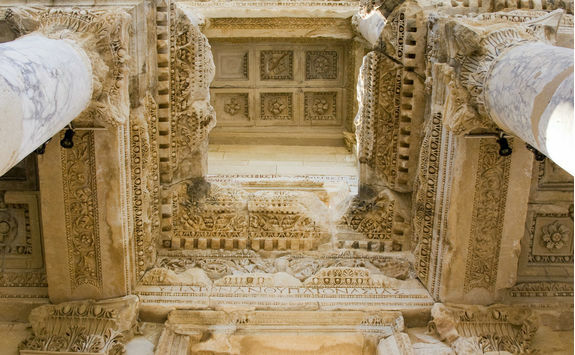 Sadly, little remains of the temple today, but that shouldn't deter those keen to catch a glimpse of what was one of the Seven Wonders of the Ancient World. Definitely one to tick off the bucket list. 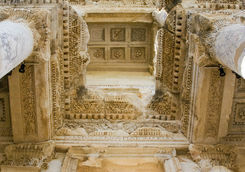 The tour continues with a visit to the House of the Virgin Mary, set on the top of Bulbul Mountain close to Ephesus. 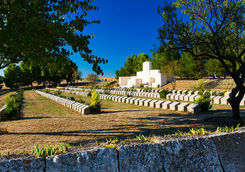 Hidden in these green surroundings there's a wonderfully peaceful atmosphere to enjoy as you wander around the place where it's said the Virgin Mary spent her last days. 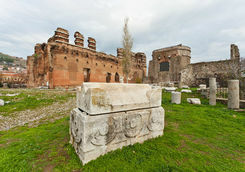 Your tour also takes in the ruins of Basilica of St. Jean and the 14th century Isa Bey Mosque, as well as the Ephesus Museum. 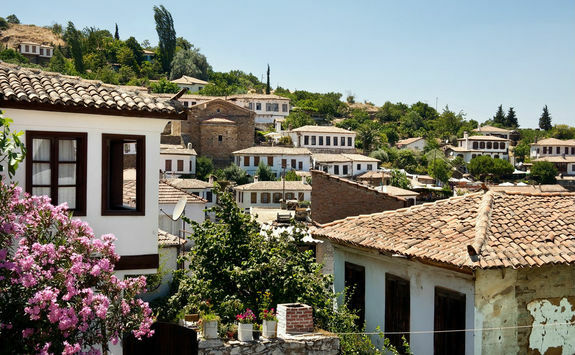 Then it's back to Izmir, but not before a quick stop at Sirince, a truly beautiful hilltop village famous for its olive oil and wine. With breathtaking views over vineyards and peach orchards, it's the perfect way to wind down after a busy day. 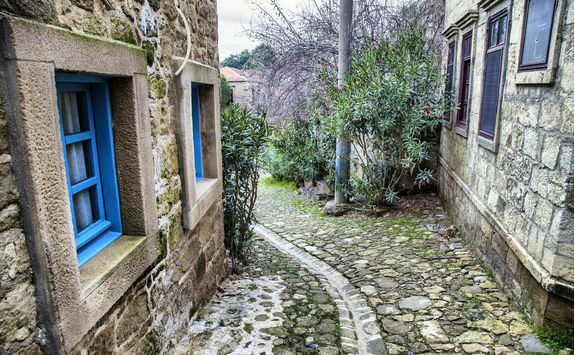 There's just enough time to pop into one of the village shops to buy hand-made olive soap and local wine, before heading back to your hotel. 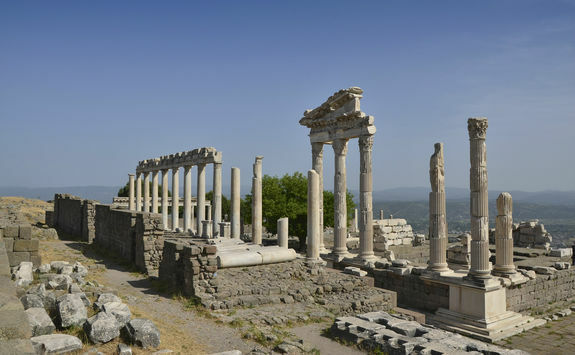 It's time to say goodbye to Izmir as you continue your Turkish adventure to Mount Ida. Our guide will meet you at the hotel before you set off on the four-hour journey north. 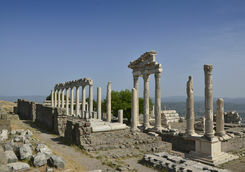 Breaking up the drive, you'll stop at Pergamon (the perfect half-way spot) for a guided tour of the ancient city. 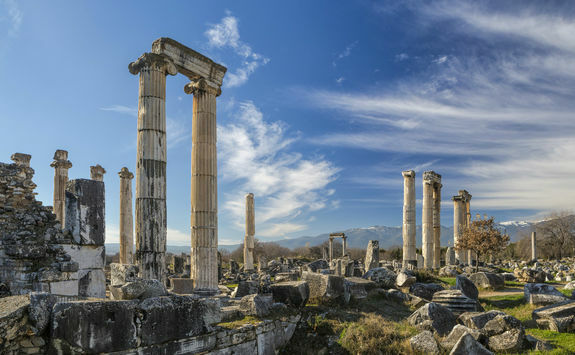 As you walk among well-preserved ruins like the Acropolis, Asklepion, Temple of Dionysus and various waterways, fountains and more, it really feels as though time has stood still. 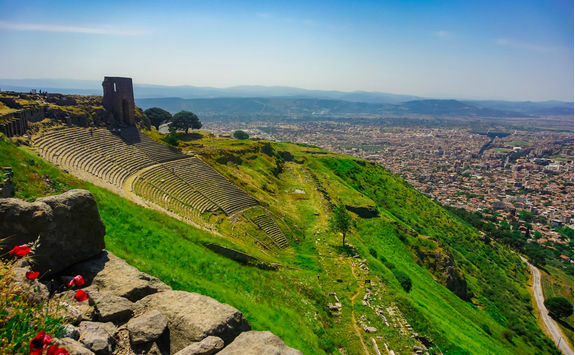 Ancient Pergamon, with its majestic setting on top of Kale Hill, was one of the most spectacular city centres in the Hellenistic period and you still get that sense of wonder today. 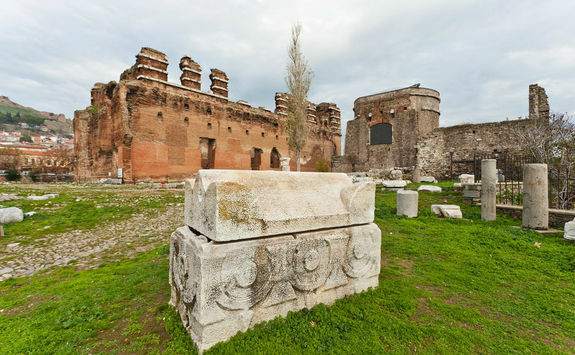 Don't miss the Temple of Serapis (Red Basilica), dedicated to John the Apostle and one of the Seven Churches citied in the Bible. 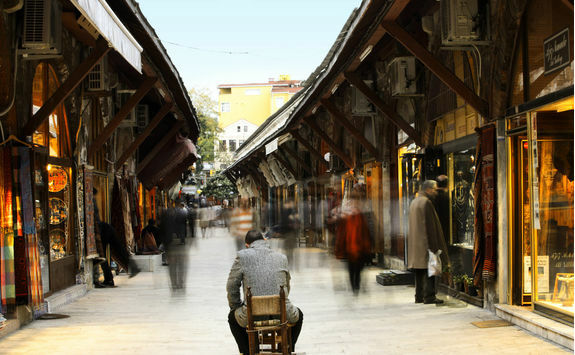 If there's time, try and squeeze in a visit to the modern town of Bergama, with its historic bazaar at Arasta. 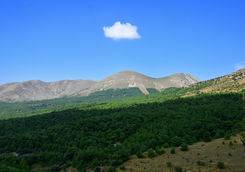 Continue on your journey towards Mount Ida before checking in at your hotel in nearby Adatepe - a pretty little village tucked away on the mountain slope. 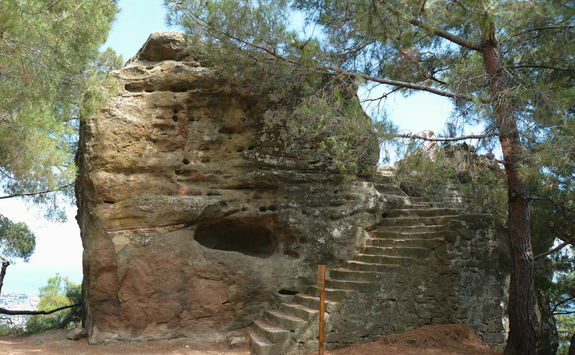 Your day starts with a visit to the Altar of Zeus, handily just a short walk from your hotel. 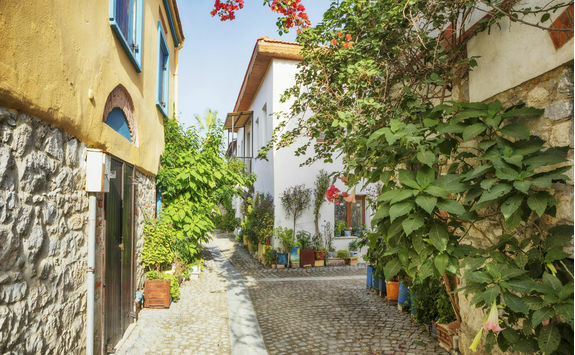 The walk itself is a total joy - Adatepe is one of the prettiest villages in the whole of Turkey, with charming honey-coloured stone houses nestled in the lush, green landscape. 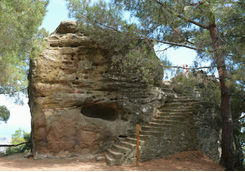 The Altar of Zeus is steeped in legend. 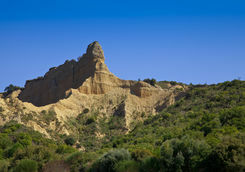 It's said to be the vantage point from which Zeus watched the fighting at Troy beneath him. Even if mythology isn't your thing, the views across the coast and the walk itself is the perfect way to start the day. Mount Ida is the star of the show this morning. 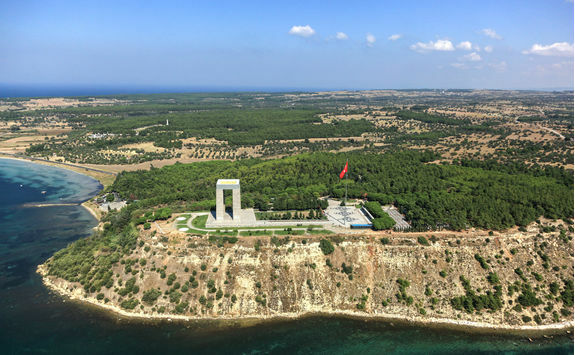 Here you can head out on a hike, enjoy a leisurely nature walk or just relax and soak up the natural beauty of the Turkish countryside. Breathe in the fresh air and get away from it all. 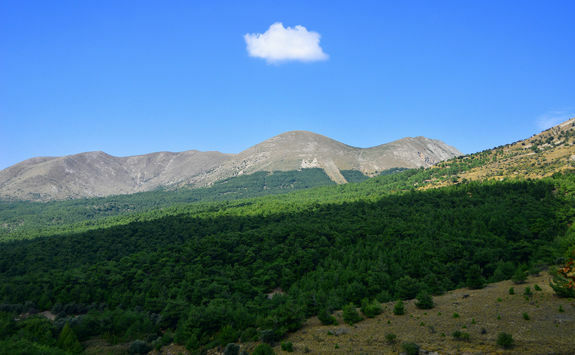 As well as knockout scenery, Mount Ida has some tales to tell. 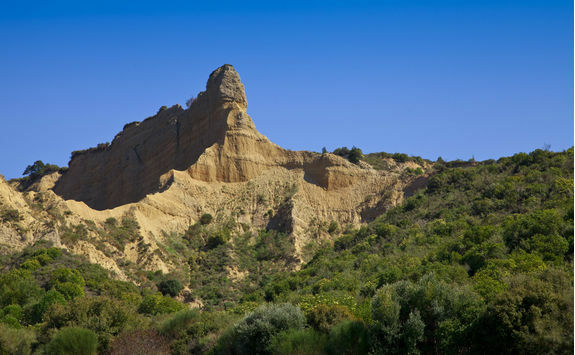 According to ancient legend, all sorts of divine goings-on took place on Mount Ida, as the Gods charmed, seduced, tricked, married and betrayed one another. 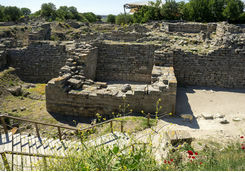 Continue your journey with our guide to Troy - immortalised in Homer's Iliad - where you'll be treated to a private tour around the city ruins on the ancient site before exploring the village of Assos. 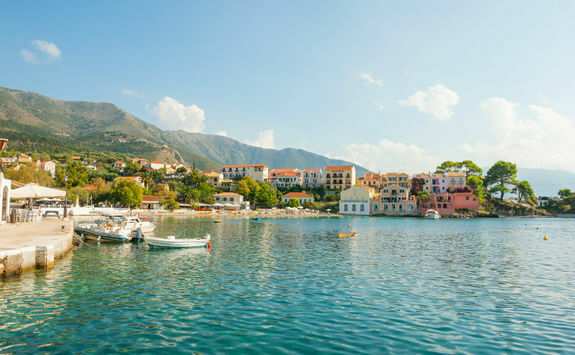 With its mountainside location, picturesque harbour, stunning views out across the island of Lesvos and historical ruins, this is another highlight. 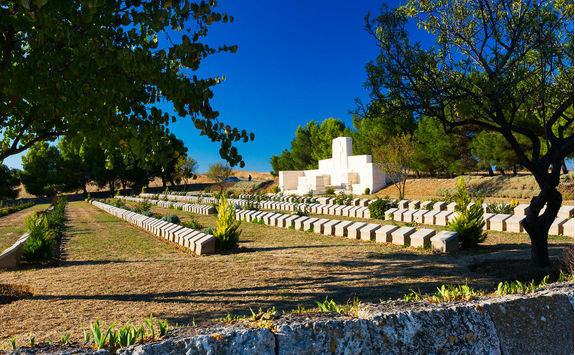 Wrap up your day in the best way possible with a wine tour and tasting at Porta Caeli. Enjoy the gorgeous views out across the vineyard as you learn about the winemaking process and enjoy some of the finest local wines over dinner. 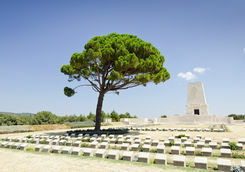 Then it's just an hour's drive to Gallipoli, where you will check into your hotel for your final two nights. 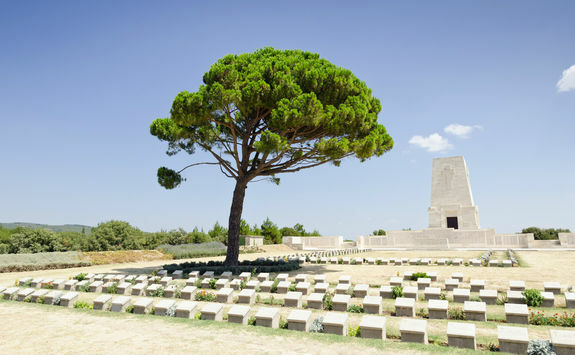 Today we've organised a private guided tour of the Gallipoli battlefields and cemeteries. 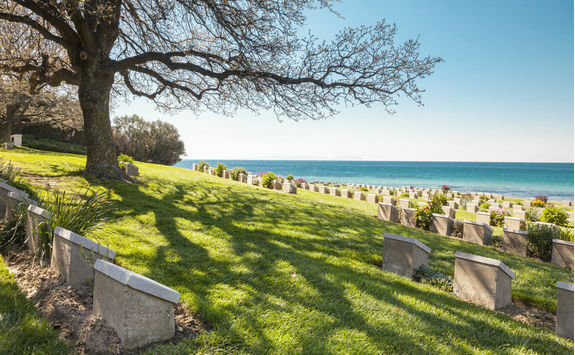 The Gallipoli campaign - fought between 25th April 1915 and 9th January 1916 - is one of the most famous of World War One. 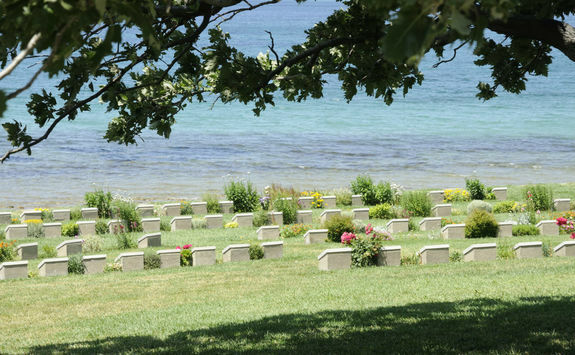 Here, thousands of soldiers from both sides were killed as British and Antipodean troops fought the Turks in an attempt to open up a second front away from the horrific stalemate on the Western Front. 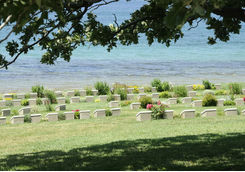 Today, the battlefields are respectfully preserved and our guide will help you explore the various sites and memorials. It's an extremely moving experience. 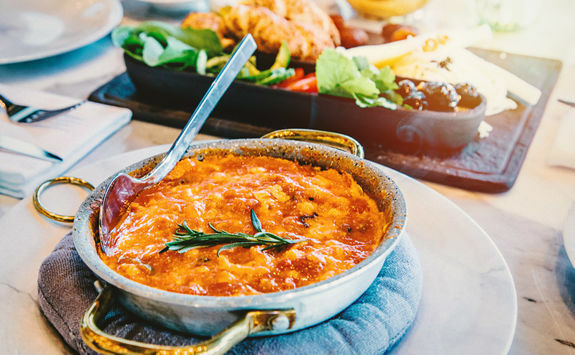 As well as exploring your surroundings, make sure you take the chance to indulge in some authentic Turkish cuisine. 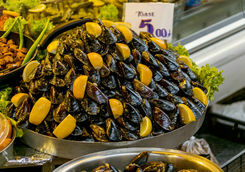 Our Concierge can recommend the best places to go locally for an authentic taste of Turkey. Sadly it's your last day in Turkey, so make the most of this morning to explore more of this exceptionally beautiful Turkish National Park. 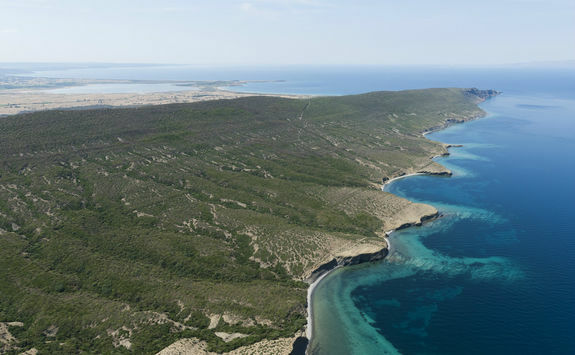 Green hills, pine forests, wildflowers, sandy beaches and blue waters define this peninsula between the Dardanelles and the Aegean Sea. 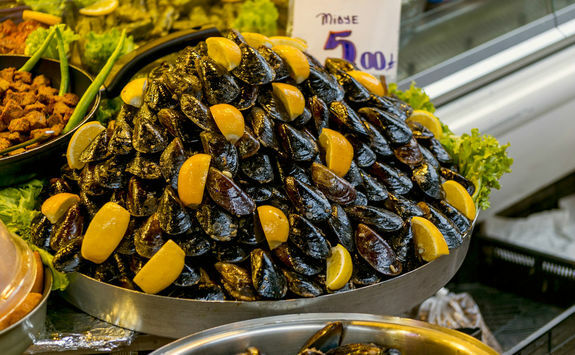 After a few hours spent exploring more of the area (or just lying by the pool) enjoy a last lunch before a three-and-three-quarter-hour drive back to Istanbul, where you'll catch your late afternoon flight home. This takes around four hours and you will arrive back in London in the evening. 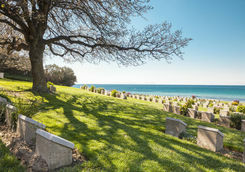 Harriet, Arran and Kate L are our experts for this itinerary and as seasoned travellers they have the inside track on the most memorable adventures.